SOUL | This is the story of our carving snowboard SOUL. It’s all about the soul of snowboarding. Making turns. The SOUL will take you where the joy of carving lives. It is a real carving toy for softboot riders. Easy carving. High performance carving. Just carving. When you feel the edge, the speed and the wind in your face. The name of the board model is SOUL. This means passion from deep inner heart and being one with the activity you do. Our SG SOUL board is the symbol for being ONE with riding out of deep passion. Being in the flow of snowboarding. This board SOUL will represent the essence of snowboarding. In the SOUL graphics this spirit should be remembered. The graphics as representative of the SOUL spirit everywhere. 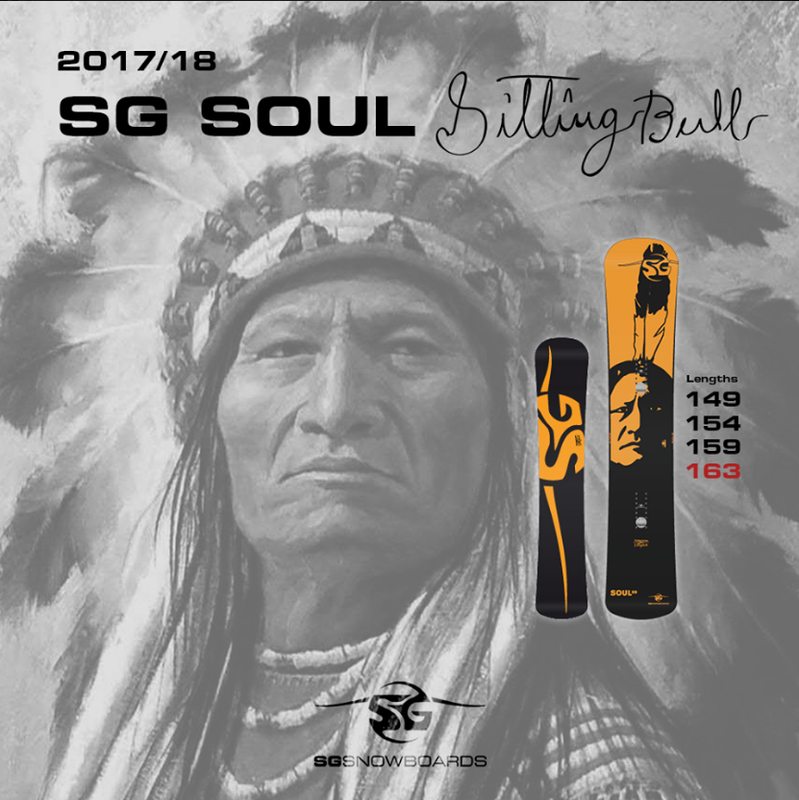 You can shop your SOUL from SG SNOWBOARDS here. 2017/18 the picture of Sitting Bull, Big Chief of Red Indians, Natives of North America who defend their majestic wide nature against the exploitation, subjugation and greed. SOUL and pride of being a native connected to the Big Nature. 2016/17 the mask of Guy Fawkes, (known in the movie Vendetta) representing the passion for justice and rebellion against the injustice in the history of man. (Today represented by the Anonymous Movement against international Bank Mafia.) SOUL against financial greed.